The benefits of encouraging more secondary units in Edmonton far outweigh its drawbacks. Secondary suites are self-contained units usually located in basements. These dwellings form a so-called “invisible density” because they don’t alter the exterior of the property. According to the old zoning rule, secondary suites are limited only to single detached homes with lot sizes of over 360 square meters. The new motion passed by the City Council of Edmonton in June 2016 explores the option for allowing secondary suites in a row, semi-detached, and other types of housing. This move will give Edmontonians more housing choices and a host of other benefits. The more relaxed rule on secondary suites will add hundreds of affordable options to Edmonton’s housing supply. The low cost of secondary suites will benefit not only the poor but also families with ageing parents, new families, students, and newcomers. This new rule will also encourage Edmontonians to live in established neighborhoods, taking advantage of various services and infrastructures. Also, the additional income from renting out secondary suites is a huge boon for homeowners. The extra money will help cover for mortgage expenses, renovations, and maintenance. More cash also means more buying power, despite rising housing costs. According to Edmonton officials, there are about 3,500 legal secondary suites in the city while illegal units are estimated to be three times more! 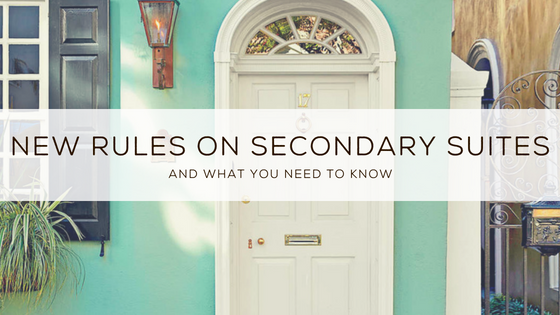 Easing the rules on secondary dwellings will encourage homeowners to legally operate — obtaining proper permits and allowing city officials to make sure the units are up to standards. Some citizens worry that the influx of secondary suite residents will affect street parking. But this might not be a real concern. First, homeowners don’t own the road, so they don’t really have a say about it. Second, most low-cost renters cannot afford their own cars. And if they live in established neighborhoods, they would rather walk or commute than buy one. At the time of writing, about 67 percent of Edmontonians is in favor of the proposed changes. What do you think? Is relaxing the secondary suite rules in Edmonton going to be more helpful or more of a hassle? Let me know your thoughts in the comments!